Latest Emlid Navio installed. Using Arducopter 3.6.5. Mission Planner 1.3.63. The I2C interface is activated in the Pi. Have an external HMC5983 compass module installed on top of a mast to keep it away from other electronics on the quadcopter. Selected Compass 3 (External) as the primary. 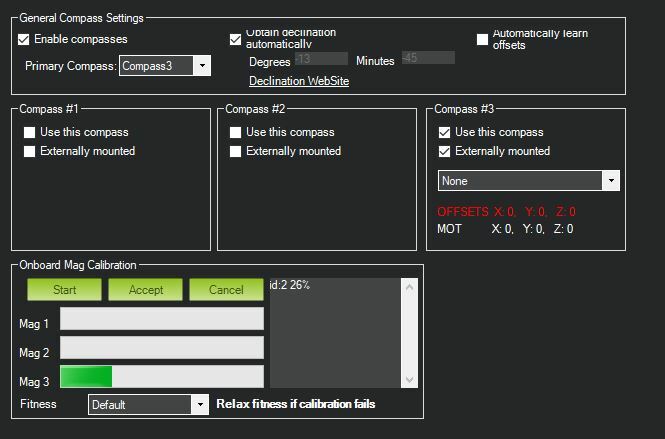 I cannot complete the compass calibration. Every time I try it begins normally but just stops updating midway through the process. Have you used this Ardupilot guides to calibrate (1, 2), @flyingw ?